Photo by Alex Tetreault, National Observer. Collage by Jack D.
During the 2008 federal election campaign, then-prime minister Stephen Harper took particular delight in lampooning Liberal leader Stephane Dion’s green shift plan as a tax on everything. Complete opposition to all forms of carbon taxation continues to be the national Conservative party’s preferred strategy almost a decade later, despite professed support for lowering Canada’s emissions 30 per cent by 2030. Economists broadly agree that carbon pricing is the preferred method for reducing emissions with the lowest economic cost, but resistance to the idea at the federal level has led to the territory being seceded to the governing Liberal party. As Republicans learned repeatedly during the Obama era, while failing to engage constructively on controversial issues can be a political winner it often leads to “worse” policy outcomes (from a conservative perspective). This has not been the case at the provincial level, where former B.C. premier Gordon Campbell’s 2008 revenue-neutral carbon tax has been widely viewed as a success story. The Progressive Conservative premier of Manitoba, Brian Pallister, is in the midst of designing a carbon pricing system that will likely be revenue neutral, and Ontario Progressive Conservative opposition leader Patrick Brown has made similar pledges. CK: You’ve been busy making the conservative case for carbon pricing across the country. Chong: The most economically efficient way to reduce emissions, the cheapest way to reduce emissions and the most conservative way to reduce emissions is through a revenue-neutral carbon tax. This allows government to harness the power of free markets to reduce emissions, while at the same time shrinking the size of government by phasing out various green regulations, programs and subsidies as the carbon price rises. The second point is that my plan for a revenue-neutral carbon tax is one of the largest income-tax cuts in Canadian history, an $18 billion cut that we would deliver in our first budget of spring 2020 that would actually leave more money in the pockets of Canadian consumers and Canadian companies. It’s an income and corporate tax cut that is worth almost 1 per cent of GDP. It’ll be one of the largest income tax cuts in Canadian history. CK: There’s a shifting landscape for conservatives regarding carbon pricing across the country when it comes to provincial leadership – embodied by Brian Pallister in Manitoba and to a lesser extent Patrick Brown in Ontario. How do we turn this into a debate over the best way to institute carbon pricing, not whether or not to have it? 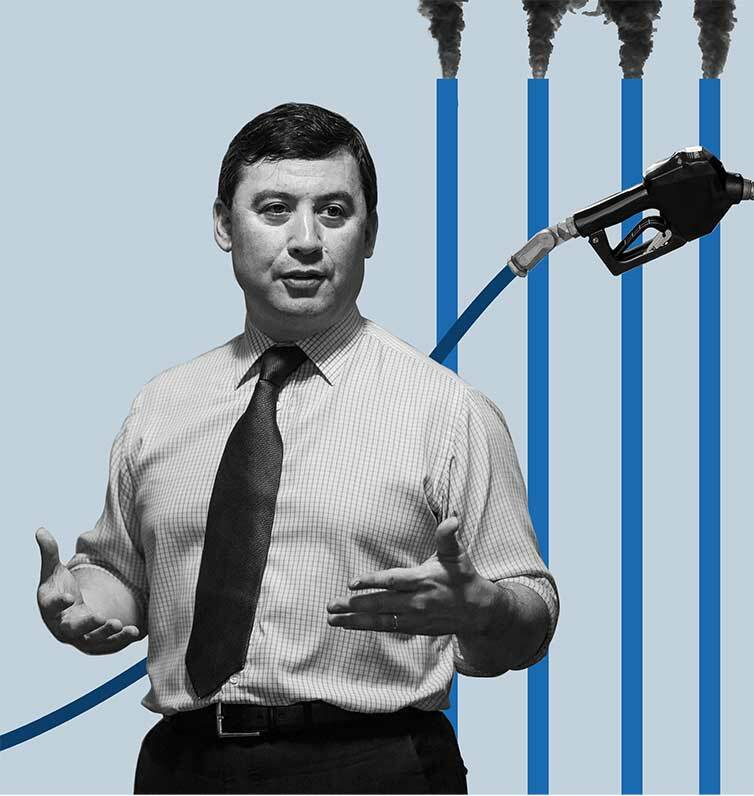 Chong: Well I think the debate as to whether we should have a price on carbon is over. Carbon pricing is here to stay; it’s been in place in Quebec and B.C. for almost a decade. I believe my plan is the right way to proceed. The wrong way is a cap-and-trade system, where the government spends a portion of the revenue on government programs. So that’s, I think, a very important point. To your earlier question, I would also add that increasingly, conservatives are starting to understand that a revenue-neutral carbon tax is the way to go. Gordon Campbell had a piece in the Calgary Herald recently endorsing this and pointing to the successful policy he implemented in B.C. about 10 years ago. Even the Fraser Institute now supports the B.C. carbon tax. In fact, if you google it, on the Fraser Institute’s website there’s an article titled “Cheap: The B.C. carbon tax, but only if it’s revenue neutral,” showing that it’s managed to grab a broad spectrum of support. So this revenue neutrality is not only economically important, but it’s also politically important. We need to have broad public support to reduce emissions, so delivering rebates and tax cuts to offset the price of carbon is incredibly important. CK: Why did you release such a detailed plan? Leadership races are often littered with vague ideas and concepts. Chong: Leadership races are the time to have big debates on policy, not the third week of a federal election campaign. If you’re going to have a debate on party policy and on taking the party down a new path, you introduce a policy far in advance in a leadership race, where the merits of the policy can be debated. I think that this is a political winner for conservatives, one of the critical elements that we need to have in place to win the 2019 election. If you look back at history, the Conservative party was the party of anti-free trade from John A. Macdonald onwards. In the 1983 leadership race, one of the debates centred on free trade. And one of the candidates, John Crosbie, proposed to change party policy and adopt a pro-free trade stance, and four years later it became party policy. Brian Mulroney campaigned in the 1988 election on free trade, won the election on that issue and the rest is history. For me, this is a similar landscape. We are confronted with one of the biggest challenges that this country faces, which is how to reduce emissions without harming our economy. I don’t think the current federal government or Ontario’s government is taking the right approach on this. I think British Columbia’s $30 a tonne revenue-neutral carbon tax is the right approach, and what I’d like to see is the B.C. model applied across the country. We need to be part of this debate and helping to shape it. Conservatives have the most to contribute because it’s conservatives that believe in the power of free markets, and by coming forward with a credible policy to reduce emissions that’s based on conservative principles, free markets and smaller government, we can provide a path forward that will allow us to reduce our emissions and grow the economy at the same time. CK: Let’s get into the specifics of your plan. Chong: Justin Trudeau’s government has put in place a $10 per tonne price on carbon starting in 2018, and increasing at $10 per year until it reaches $50 per tonne by 2022. My plan mirrors that approach, but where my plan differs is in three aspects: First, my plan continues out until 2030, when it will hit $130 a tonne, because that’s the number we need to achieve in order to meet our Paris commitment to reduce greenhouse gases by 30 per cent. I think that only planning until 2022 is a fault in their plan, because companies need time to prepare. It’s a big shift in our economy, and the longer time horizon we can give companies to plan for the shift, the better. The current government wants to stop at 2022, and it’s unclear what is going to happen after that. Secondly, my plan has a federal component and a provincial one as well. Trudeau’s plan is entirely provincial, with all revenues from the $50 per tonne collected by the federal government returned to each province. My plan splits the economy into two. On the consumer side of the economy, the provinces would get the first $30 per tonne, and the federal government would get the next $100 per tonne. That’s why, on the consumer side of the economy, it’s a combined $130 per tonne. On the other side of the economy are the large emitters – the oil and gas sector, export-oriented and trade-exposed industries and other large emitters in the country. Here, the provinces are expected to collect all of the revenue. These targets are intensity-based, so while they too will be at $130 a tonne by 2030, that price will be applied on a sliding scale of increasing intensity targets. So the reason why that’s done is because they’re trade exposed, and they need time to adapt to these new prices in order to ensure that we don’t negatively impact their ability to export. CK: Output-based subsidies for large emitters play a key role in the Alberta carbon pricing plan that went into effect in January, and seems to have been an important reason why Suncor and other oil sands players have been supportive thus far. Chong: My plan syncs with provincial plans with respect to the oil and gas sector, other major emitters, and other trade-exposed, export-oriented industries. Now there’s also a third difference and this is possibly the most important one: My plan mandates revenue neutrality for the $100 per tonne federal carbon tax, and it incentivizes provinces to make their carbon pricing schemes – whether it’s a cap-and-trade system or a carbon tax – revenue neutral as well. It does this through a revenue-neutral carbon incentive, a new federal transfer that would be given annually to provinces that have used their carbon revenues to cut income taxes or provide direct rebates to consumers and to companies. It would be the equivalent of 10 per cent of the provincial income taxes for rebates provided, and would be a permanent transfer. So, for example, if a province has $1 billion in carbon revenue, and they’ve used all that revenue to cut provincial income taxes, we will transfer, on a permanent basis, $100 million a year. And this will serve as an unrestricted transfer – they can spend the money on whatever they wish. On the federal side, the carbon tax is strictly revenue neutral and all the money will be used to cut income taxes, and on provincial pricing schemes it provides a significant incentive for provinces to move towards revenue neutrality. Now this issue of tackling climate change by reducing emissions is more and more an economic issue, and how we do this is turning into more of an economic question than an environmental one. We are a 750-megatonne economy, roughly. On the current government’s plan, by 2022 we are looking at approximately $37.5 billion in carbon revenues, whether through a cap-and-trade system or carbon tax. This amounts to almost 2 per cent of our GDP, a huge chunk of change, and if even a portion of this revenue is spent on government programs, we are going to put a huge burden on Canadian consumers and companies. But if they are used instead to introduce deep income-tax cuts, we could actually grow our economy while reducing our emissions. Because if we take the latter approach, we are in fact achieving an economic outcome that governments have long tried to achieve: to shift taxation away from income taxes towards other forms of revenue such as consumption taxes. 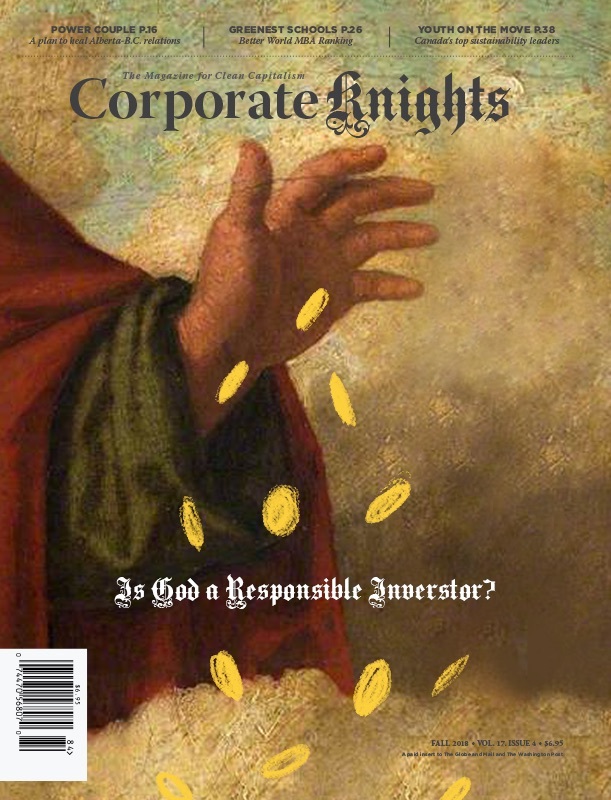 CK: The biggest argument put forth against revenue neutrality – or, in your case, an overall reduction in revenues – is that carbon pricing, while an important pillar of tackling climate change, needs to be combined with an additional suite of policies, regulatory reforms and investments to transform sectors like transportation. Chong: Well, I think they’re wrong. History proves that government is terrible at picking winners and losers, and we just need to look to Ontario’s Green Energy Act as evidence. It’s not an efficient way for resources and capital to be deployed when governments are making decisions. I think the free market is very efficient at supplying capital in the most efficient and productive way possible, and that’s why I think the arguments against a revenue-neutral model don’t hold up. It also has the added benefit of offsetting some of the increased costs associated with burning fossil fuels through deep income-tax relief.